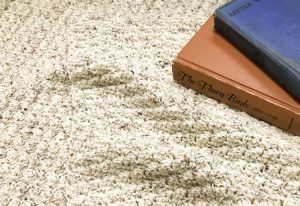 This textured stitch pattern is one of my favorites! 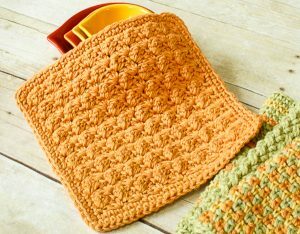 I love using it for dishcloths, throws, scarves, and more. The pattern looks complicated but it’s really not … if you know how to work a single crochet and a double crochet, you are all set. (But if you need a refresher, check out my stitch tutorials for how to do a single crochet here and how to do a double crochet here.) It’s amazing what a rich and complex design can be achieved with only two basic crochet stitches. 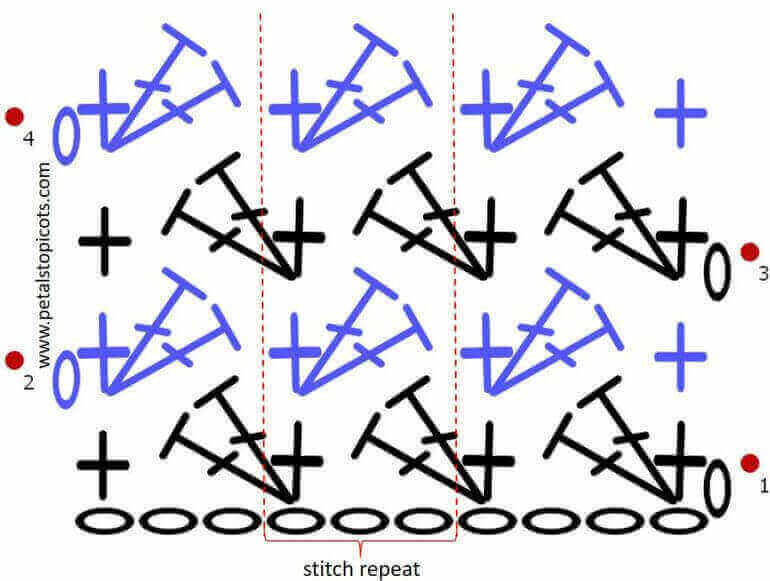 I’ve included a video here to walk you through the stitch, followed by the written pattern and a stitch diagram below. Bookmark this stitch pattern in your Ravelry library. Chain a multiple of 3 + 2. Row 1: Work [1 sc, 2 dc] in 2nd ch from hook, skip next 2 ch, *work [1 sc, 2 dc] in next, skip next 2 ch, rep from * across until last 3 ch, skip next 2 ch, 1 sc in last ch, turn. Row 2: Ch 1 (does not count as st), work [1 sc, 2 dc] in first st, skip next 2 sts, *work [1 sc, 2 dc] in next, skip next 2 sts, rep from * across until last 3 sts, skip next 2 sts, 1 sc in last st, turn. 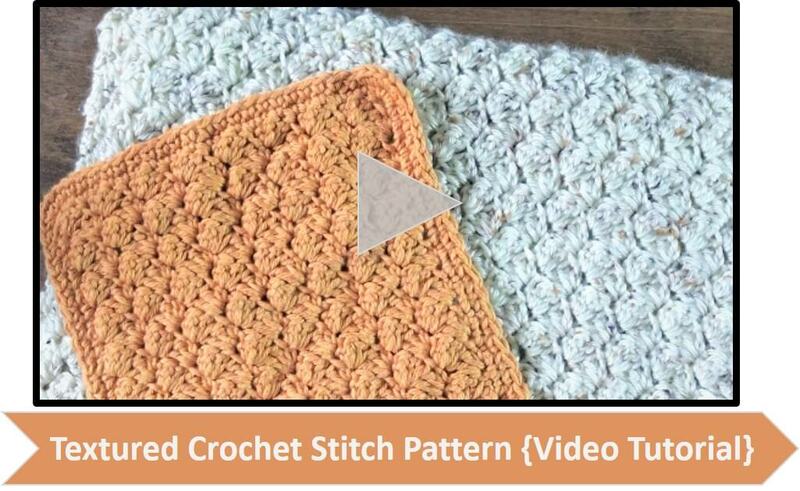 Thank you for posting, this pattern looks beautiful! I’m looking for the video, but the link provided is not working. Do you have it listed somewhere else? Also, what is the border or edge that you added? As for the edging, are you referring to the dishcloth? If so, I just put a single crochet edging around it … 1 sc in each stitch and row edge and 3 sc in each corner. For the blanket, I did not add an edging at all because I really like how this stitch makes the edges look. Hope that helps! I love this stitch! I’ve made a couple of afghans with and they come out so soft and squishy!